Is it just me or is marble everywhere right now? 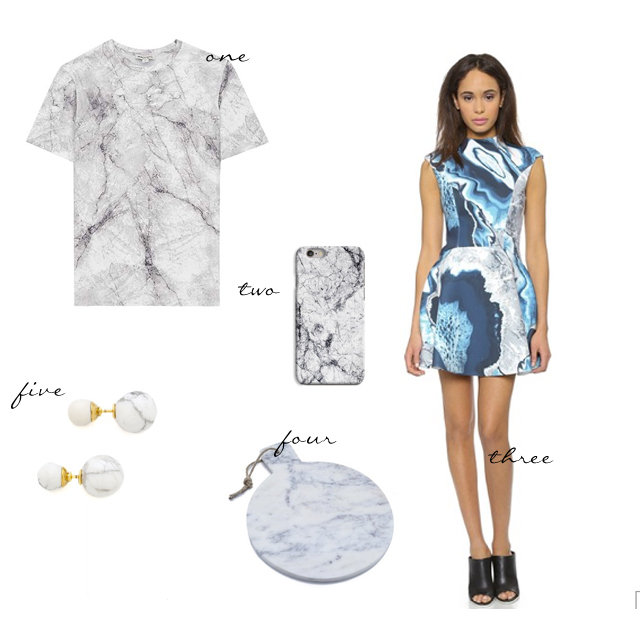 I have a marble iPhone case (similar to the one above) and somehow we lucked out with marble counter tops in our apartment, but I'm really liking the trend and might need to pick up few more marbled items, like that dress (on sale!) or that tee. Are you a fan of the trend? Marble is so huge right now! I really want to add something marble to our apartment because I think it is so beautiful! I had no idea....thanks so much for the tip. I'd say it's a definite DO!